With its gorgeous lines and romantic appeal, there's no writing as lovely as calligraphy. Although this form of decorative lettering may seem daunting, it's not difficult to learn as long as you have patience and are willing to practice. With a few basic supplies and some good instruction you'll be all set to address invitations, create gorgeous artwork, and generally impress with your graceful writing. Before you begin writing, it's important to purchase or borrow the right calligraphy supplies. Having great equipment can go a long way toward making your learning experience more rewarding. You don't need to invest in lots of different pens and nibs to get started, but you will need the following items. Calligraphy marker - For children, a calligraphy marker such as the Itoyoa Doubleheader Calligraphy Marker can be a good choice. Inexpensive and simple, these markers make good learning tools. However, they may not produce the crisp lines and classic style of a regular calligraphy pen. Calligraphy fountain pen - For beginners who want the crisp lines of a traditional pen without the hassle of dipping a pen into ink, a cartridge-loaded fountain pen is the way to go. The Shaeffer Calligraphy Set is a good option, since it includes three interchangeable nibs that will give you the versatility to make different types of lettering. Dip pen and ink - The classic choice for learning calligraphy is a dip pen and separate ink. This set-up is a bit messier and more cumbersome than a fountain pen, but if you're a purist, it may be the ideal choice. The Speedball Calligraphy Set is a good option because it comes with several different nibs. You'll also need a bottle of ink, such as Higgins Calligraphy Ink. You'll also need the right kind of paper to begin learning calligraphy. Although you can use any kind of paper to start out, it's best to choose a paper that's been "sized" or treated to prevent ink bleeding. When you get really serious about your calligraphy, you may want to invest in paper with a heavier weight and acid-free rating. However, as a beginner, it's best to choose something inexpensive so you won't have to worry about wasting paper as you learn. Staedtler Calligraphy Parchment Paper is an excellent choice, but any kind of inexpensive, sized paper will work. A sharp pencil will help you create lines on your paper to guide your writing. Choose something that is easy to erase, since you'll be removing these guidelines on the finished piece. A ruler is another essential tool. You'll need it to draw straight lines on your paper and to check the spacing and scale of your work. Calligraphy styles, or alphabets, can vary dramatically. However, there are a couple of options that are perfect for those who are just learning this exciting art. A good choice for a beginner is the Foundation Hand, a straight-forward script with some decorative flourishes. This script is easy to read and one of the simpler designs to make. Another great option is the Italic Alphabet. A very traditional choice, it will give you the look most people associate with calligraphy. It's fairly simple and is another good option for beginners. You'll need a comfortable place to practice. Ideally, this will be a chair with a table that has a slight incline. However, a flat surface can work too. It's important to make sure you have plenty of room to move your arms and that the table is a comfortable height for writing. Before you start writing, you'll need to make some lines on your paper to guide you and keep things going straight. The width of these lines will vary depending on the alphabet and nib size you choose, but a good rule of thumb for beginners is to space them 3/4-inch apart. Measure down from the top of the paper, making guide marks every 3/4 inch on each side. Align your ruler with the two guide marks. Use your pencil to lightly draw a straight line between the marks. Continue until the paper is covered with lines. You'll need to erase these when you're done, so keep them very light. Hold your calligraphy pen as you would any other writing utensil, but make sure you are pinching it about an inch from the tip. As you lower the pen to the paper, you'll want the flat portion of the nib to be at a 45-degree angle to the lines on your page. This angle won't change as you write. This allows some marks to be thin, while others are thick. 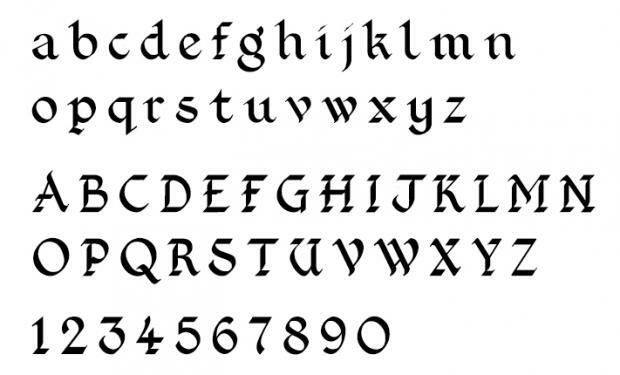 The easiest way to learn calligraphy is to practice with models and templates. You can get free calligraphy templates online, which will allow you to begin practicing right away. Like any art, learning calligraphy requires a good example. You can take a class at your local art center or community college, or you can watch videos of master scribes and calligraphy instructors online. If you're just getting started, this is an excellent way to refine your technique. Under arm position: In this position, the hand under the line of writing and the paper should be positioned at an angle. Use a left handed oblique nib for best results. Vertical position: Here the paper must be turned at 90 degrees so the pen works from bottom to top rather than from left to right. In most cases, this position is preferred by left handed calligraphers who want to work with a pen nib designed for a right handed person. 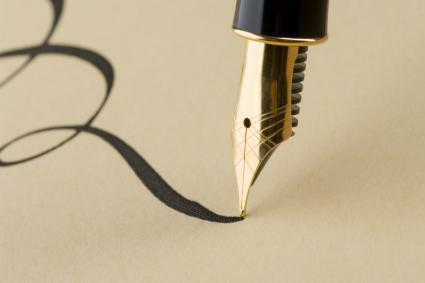 Hook position: In this position, the calligrapher writes from above the line of writing with the paper positioned straight down. Teachers generally consider this the least desirable position, but some people find it most comfortable. Right handed nibs are best for this approach. Set up your work space with the light coming from the right side, so the shadow of your hand does not fall where you are trying to write. Try sitting further to the right of the page than where you normally would in order to make it easier to achieve the correct pen angle. Be patient. Learning how to write calligraphy isn't easy for anyone, but left handed people do tend to experience more difficulty. Don't get frustrated if you're having trouble making the letters initially. As you practice, you may find that more learning resources can come in handy. This is helpful for perfecting your technique, as well as for learning new alphabets. Calligraphy: A Course in Hand Lettering by Maryanne Grebenstein - This book is written by an experienced calligraphy teacher and offers great advice on learning this art. Learn Calligraphy: The Complete Book of Lettering and Design by Margaret Shepherd - This book, also written by a calligraphy teacher, offers direct instruction about a number of alphabets as well as helpful tips. Calligraphy For Dummies by Jim Bennett - Covering everything from basic supplies to how to make the various alphabets, this is a great resource for beginners. 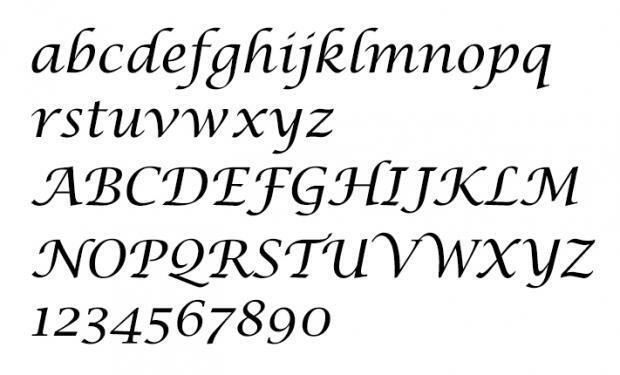 B+C Shop has an Calligraphy Online 101 class for under $30. Udemy offers an array of online courses, including various affordable calligraphy courses. Calligraphy.org offers a modern calligraphy course for under $100. Although it looks complicated, learning calligraphy doesn't have to be overwhelming. In fact, with the right tools and instructions, you'll soon be on your way to creating gorgeous printed artwork for friends and family.